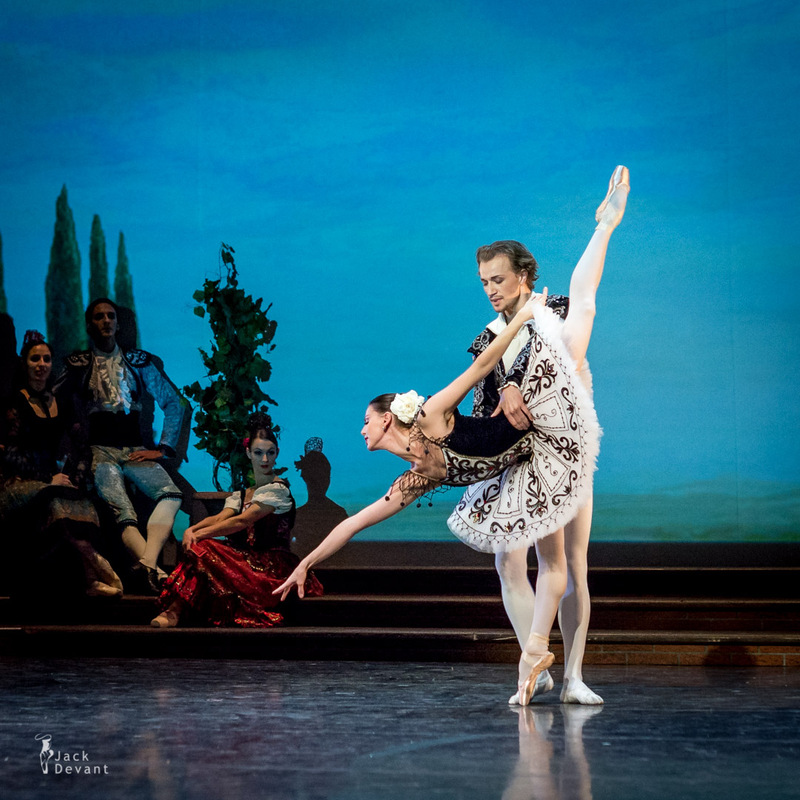 Don Quixote pas de deux (act 3) by Anastasia Matvienko, Denis Matvienko. Music by Ludwig Minkus, chorography by Marius Petipa. Taken on 19.10.2013 at Savcor Ballet Festival 2013, Mikkeli, Finland. Anastasia Matvienko is a soloist at Mariinsky. Nastya was born at 1982 in Sevastopol, Ukraine. From 1996 to 2001 Anastasia studied at Kiev State Choreographic school. From 2001 to 2007 she was the first soloist of National Opera and Ballet Theatre of Ukraine. From 2007 to 2009 Anastasia was a principal dancer of Opera and Ballet Mikhailovsky, St. Petersburg, Russia. March 2009 Anastasia became a first soloist of Mariinsky Theatre, St. Petersburg, Russia. Don Quixote was brought from Russia to other countries first by Anna Pavlova’s company in 1924 in an abridged version of Gorsky’s 1902 production, though the full-length work was not staged abroad for many years. The famous Grand Pas de Deux from the ballet’s final scene was staged in the west as early as the 1940s. The first full revival of the original Russian production to be staged in the West was by Ballet Rambert in 1962. In 1966 Rudolf Nureyev staged his version for the Vienna State Opera Ballet, with Minkus’ score adapted by John Lanchbery. In 1973, Nureyev filmed his version with the Australian Ballet, and Robert Helpmann as Don Quixote. Mikhail Baryshnikov mounted his own version in 1980 for American Ballet Theatre, a production that has been staged by many companies, including the Paris Opera Ballet. Ballet photographer Jack Devant © with kind permission of the Savcor Ballet, special thanks to Sofia Rekola. 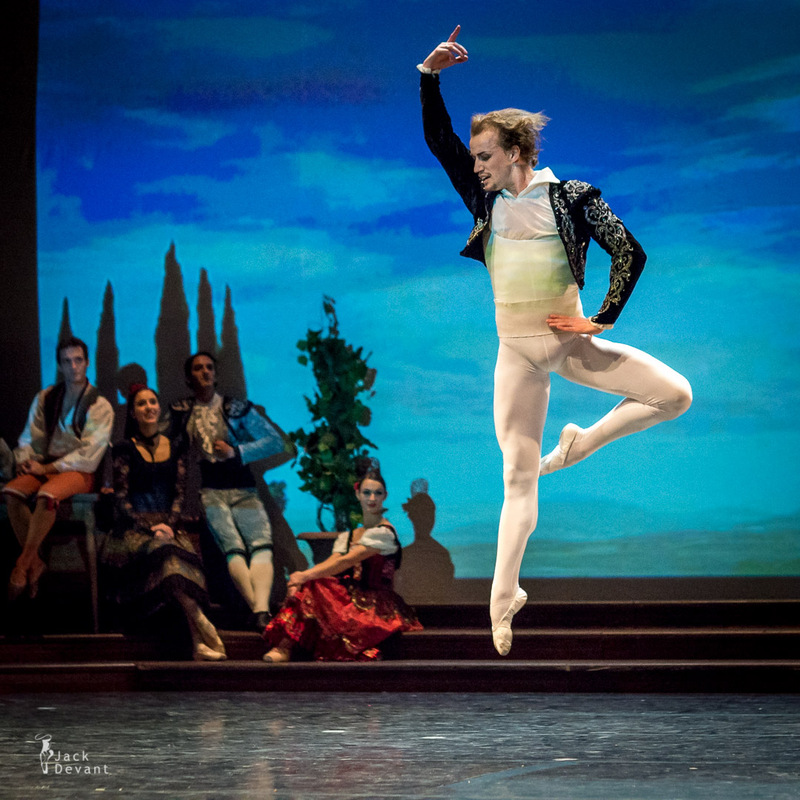 One Response to "Don Quixote PDD by Anastasia and Denis Matvienko"